After driving around in the country side for a good 20 minutes we began to think our sat nav had ideas of it’s own and we would never make it to Whatley Manor! I just wanted to be engulfed in luxury and treated like a VIP as I knew I would be there! Finally after finding our destination, far away from any civilization, making this the perfect spa retreat, we received a very warm welcome and were shown to our room. Stunning does it not justice at all, with warm colours of burgundy and blue it complimented the awful weather outside. 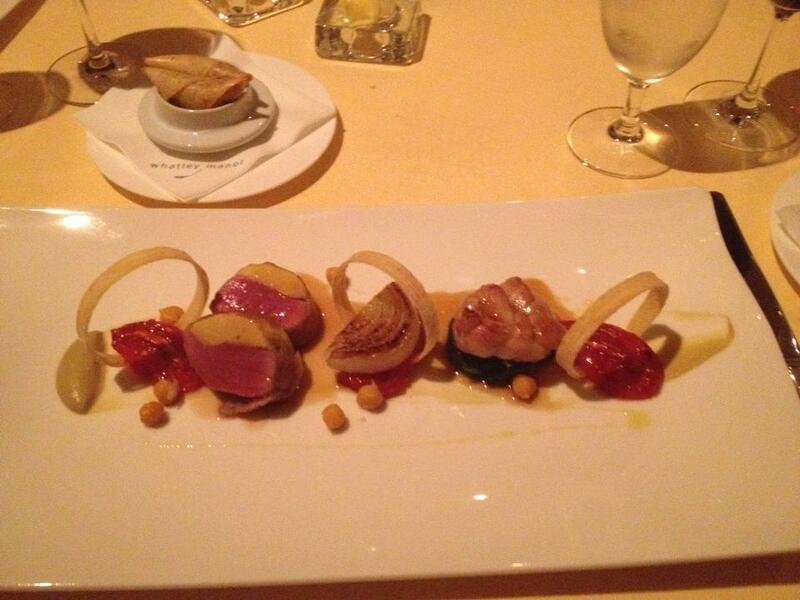 We grabbed ourselves some room service to tide our hungry tums over until dinner, and then headed down to the spa. I mean, I’m mow spa expert but oh my, this was incredible! 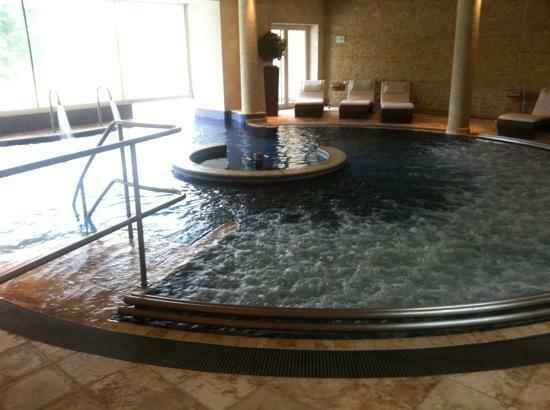 We spent a good three hours chilling out, and making use out of the extensive equipment ; Tepidarium with heated stone recliners, Salt Scrub Showers and Experience Showers, Thermal Cabins that include the Calidarium, Camomile Steam Grotto, Laconium and Sauna. The list is endless. I also spent our final hour in the spa having a deep tissue massage, that hurt in a really good way!! I left feeling revived and ready for whatever the next two weeks away would throw at us. I also had amazing feeling skin due to the oils that were used. After showering and getting ready for dinner, I was more than ready to try the two Michelin star restaurant ‘The Dining Room’. Well to be honest, I thought I was ready for what they gave us, but I wasn’t! I opted for the Taste of lamb Moroccan style served with a lightly spiced aubergine purée and confit chick peas, among many courses of canapés served by the roaring fire, amuse bouche, pre-desserts, petit fours and handmade chocolates. The food was out of this world. 11 small courses, and three hours later we were back in the room! How I needed my sleep after consuming so much food and drink! Breakfast was in the form of a sausage and bacon sandwich that was divine. 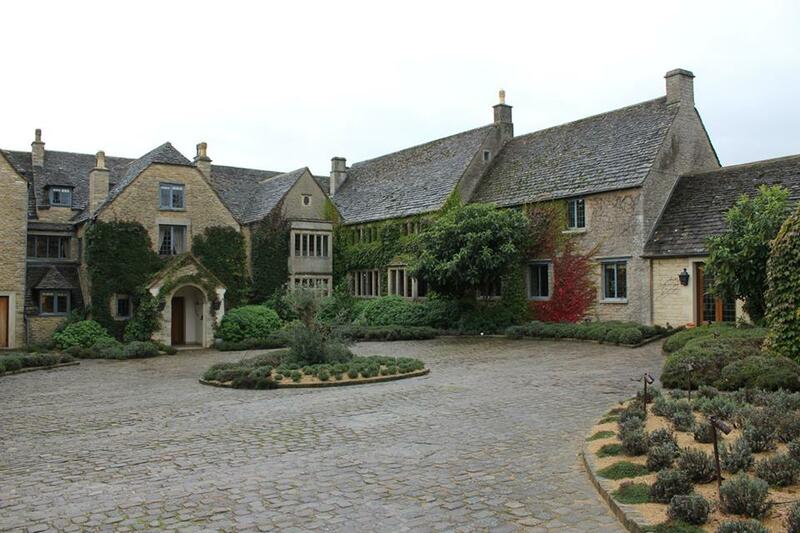 We were really gutted to have to leave Whatley Manor, and will return as soon as possible! That looks so cosy, comfortable and relaxing.